Kirn/Archbald. The SIMONA Group has acquired Premier Material Concepts, LLC (PMC), Findlay, Ohio, USA. PMC is an extrusion company specializing primarily in the manufacture of plastic sheet products used in recreational vehicles, agricultural, and industrial applications. Employing more than 60 people, the company generated annual revenue of approx. USD 27 million in fiscal 2017. Focusing on attractive niche markets for thermoforming applications, PMC supplies highperformance plastics requiring specialist solutions and significant materials expertise. Among the key materials processed by the company are TPO, ABS, and combinations of vinyl and acrylic with ABS. PMC is renowned for its highly flexible production capabilities and its extensive in-house expertise in the field of product development. The company was owned by a private equity firm. SIMONA AMERICA is part of SIMONA Group, one of the leading manufacturers and development partners of high quality thermoplastic products. SIMONA AMERICA has two operations, in Newcomerstown, OH and Archbald, PA. Boltaron’s plant in Ohio focuses on aviation interior products. In Pennsylvania, the company produces large volume polyolefin and PVC products, as well as specialty products for the corrosion protective, semiconductor, recreation and building industries under the SIMONA brand. SIMONA AMERICA generates annual sales of more than USD 110 million and employs 245 people. SIMONA Group´s product portfolio includes semi-finished parts (sheets, rods, profiles, welding rods), pipes and fittings as well as finished parts. 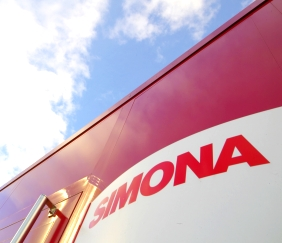 SIMONA employs 1,300 people worldwide. The Group manufactures 35,000 products in Germany and abroad. Generating USD 460 million sales, annual production exceeds 140,000 tonnes. SIMONA AG is a stock corporation listed in the General Standard. 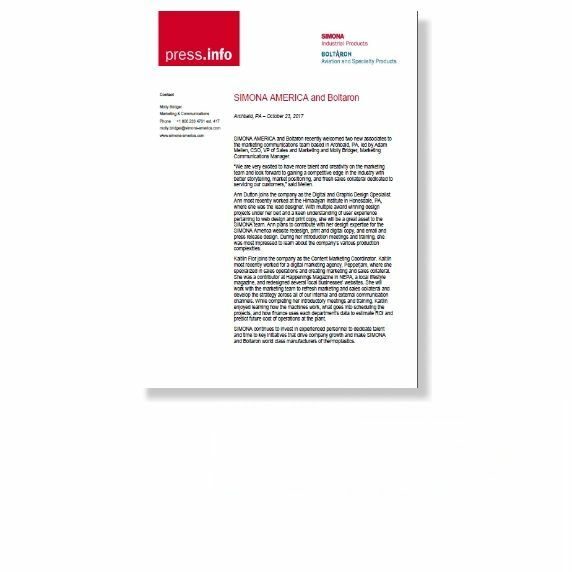 SIMONA Group was advised by Fredericks Michael & Co. an investment bank with offices in New York, London and Sao Paulo on this transaction. www.fm-co.com. Both parties to the transaction have agreed not to disclose details regarding the terms of the purchase agreement and the consideration payable.